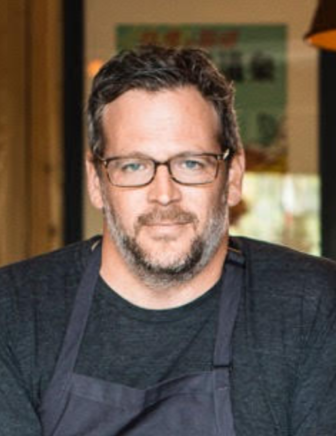 This weekend, renowned local chef Bill Taibe brings the unique Japanese inspired flavor of Kawa Ni to the Westport Fine Arts Festival taking place Saturday and Sunday, July 14 to 15 in downtown Westport. The festival takes place from 10 a.m. to 5 p.m. It’s a rain or shine event and free to the public. 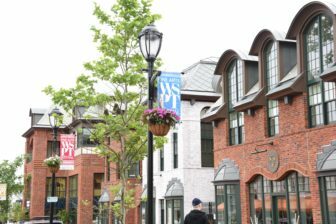 “Since opening Jesup Hall in 2017, we have begun a love affair with the downtown area and are committed to taking part in events that strengthen the commerce and culture of Westport,” Taibe said. Kawa Ni can be found in the Saugatuck area of Westport, and specializes in Japanese small plates. Featured menu items at their festival booth this weekend, located on the corner of Main Street and Post Road, will include shaved broccoli salad, scallop hand roll, creamy spicy tuna and cold sesame noodles. Taibe and Kawa Ni are among a diverse and inspired culinary offering at this year’s festival that includes Jeera Thai, Skinny Pines Wood Fired Catering, El Segundo and M.O.C. Eatery, a food truck offering locally sourced pub style sandwiches and salads. Patrons may also enjoy refreshing cocktails sponsored by Pernod Ricard, beer from Brooklyn Brewery, and hand crafted watermelon lemonade sure to satisfy both children and adults. This summer event attracts residents and art lovers from all over Connecticut and beyond. With over 170 artist booths making up the festival’s expanded footprint, there is sure to be something for everyone. In each of the eleven media categories, Westport Fine Arts Festival presents artists who are award winning examples of that genre. From contemporary to traditional, the common thread is outstanding execution of art form. New this year is a focus on family art activities and the hands-on aspect of creating art. Several booths will allow guests of all ages to express themselves through many free, immersive art activities. The Kids and Family Zone, centrally located in Brooks Corner Plaza, will provide free materials and instructor lead projects such as mask making by Jerry’s Artarama, and an exciting variety of offerings from The Artist Collective of Westport that include Seashell Art and Make Your Own Logo. There will also be freestyle expression with Chalk The Walk and Paint-A-Piano donated by the Suzuki Music School of Westport, alongside balloon art by Gault Family Companies and complimentary face painting. Westport Library’s huge Summer Book Sale also starts on Saturday, July 14 (at 9 a.m. with the running of the bargain hunters) and runs through 1 p.m., Tuesday, when the flood of books winds down to a trickle. The Library book sale features thousands of deeply discounted books and other items in over seventy categories. The books will be mostly under the tents on Jesup Green. On Saturday and Sunday, stop by Taylor Place for an outdoor salon with activities celebrating our love of books. 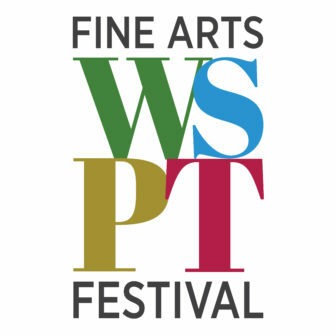 The Fine Arts Festival is presented and produced by the Westport Downtown Merchants Association, with artist direction by Sue Brown Gordon of Gordon Fine Arts.